Get the latest Diploma of Accounting training resources and assessment tools from Australia’s leading learning resource developer! Deliver and assess this popular qualification with a complete set of Learner Guides AND Assessment Tools from one of Australia’s leading financial services training package developers. These Diploma of Accounting Assessment Tools and Training Resources have been developed to deliver critically needed Accounting skills to all learners, whether currently employed or not. Our assessment tools come with assessment workbooks based on “real world” simulated scenarios and case studies that allow learners to demonstrate their skills and achieve competency across all units. Unlimited Student License for FNS50215 Training! 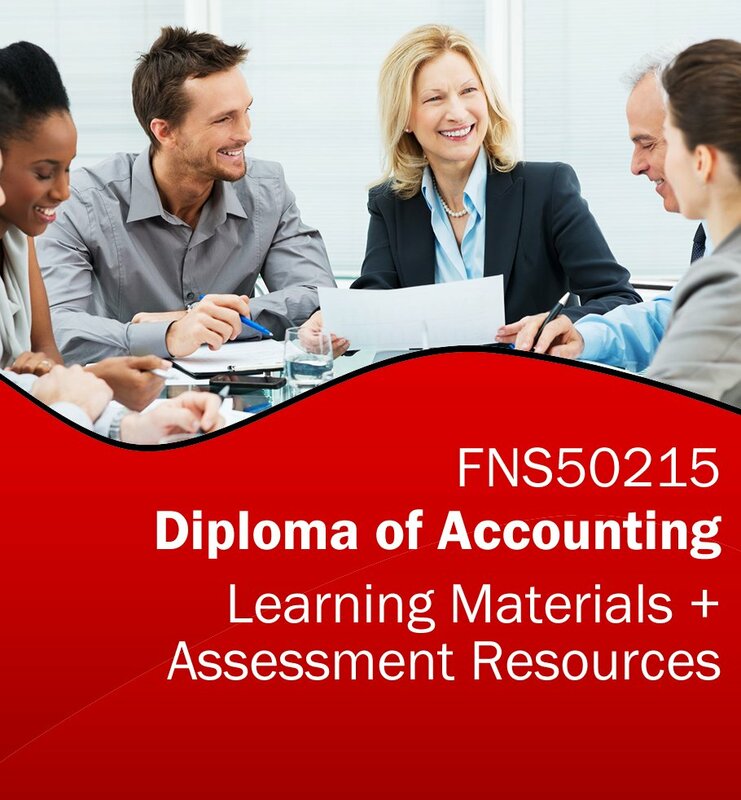 Your FNS50215 Diploma of Accounting materials are provided on an unlimited student license for the lifetime of the qualification release – meaning no ongoing resource fees or licensing costs for the use of these training materials! Deliver training to as many students as you want in your RTO which will typically save you a fortune on resource costs over the lifetime of this qualification. Unit by unit FNS50215 Diploma of Accounting RTO training materials! 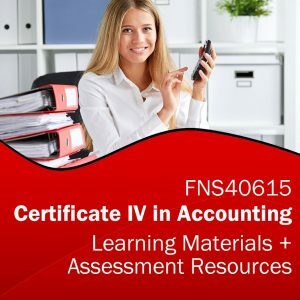 Enquire now and get this premium FNS50215 Diploma of Accounting learning and assessment resources bundle for your RTO today! As part of this Diploma of Accounting Learning and Assessment Resource package, you will receive learner guides, assessor guides and assessor workbooks for a full 11 units of competency. We have carefully pre-selected electives to deliver learning outcomes useful in a wide range of Accounting settings, including prerequisites for the FNS50215 core units to simplify your enrolment process.